Wellington Libraries selection of book length comic titles aimed at adults cover every kind of subject and genre imaginable including autobiographical, manga, non-fiction, super hero, supernatural, and underground and independent titles. Titles are sourced from larger US publishers, well known independent imprints and international sources. Local comic content is important, but we also aim to provide diverse translated comics from around the world. Our young adult comic book collection aims to provide a wide range of suitable teen material, covering personal autobiographical stories, episodic super hero series, popular genre manga, New Zealand content and popular TV and movie series adaptations. 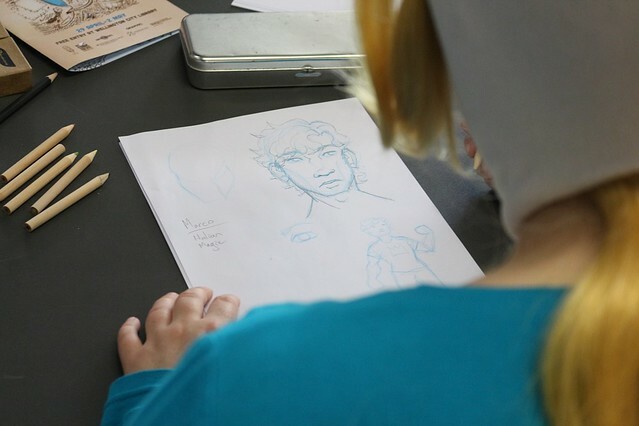 There have never been so many children's comics published from around the world as now, and Wellington City Libraries embraces the potential in comics for younger readers. We collect titles from larger US publishers like Graphix, but also value original and translated comics from UK imprints, adaptations of popular culture properties and cartoon strips, providing a plethora of comic viewpoints. Comicfest is a biennial celebration of all things comic-related, with a focus on New Zealand comics and creators. Past Comicfest celebrations have featured guests including Rae Joyce, Indira Neville, Sarah Laing (3 Words comic anthology editors), Jonathan King, Tim Gibson (Weta), Matt Emery, Tim Bollinger, Sharon Murdoch, Toby Morris (The Wireless), Cory Mathis, Greg Broadmore (Weta), Paul Tobin, Ant Sang (Bro'town), Grant Buist (Fishhead magazine) and Robyn E. Kenealy. 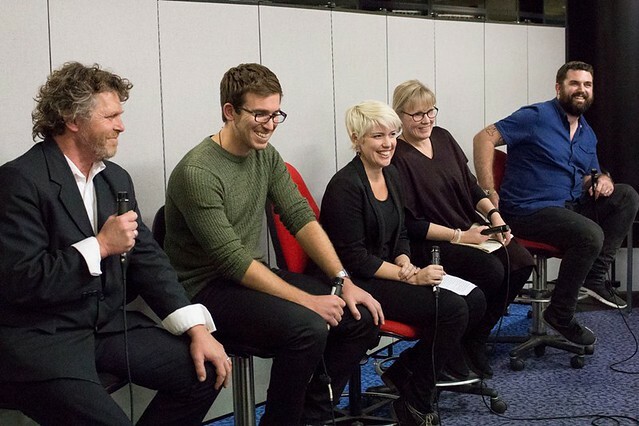 Comicfest has facilitated panel discussions on the state of comics in New Zealand, a discussion with the three editors of the 3 Words comic anthology of New Zealand women in comics, insights into Weta Workshop animation processes and more. Some of these talks are available to listen to online over on Soundcloud. You can also see photos from past Comicfest events over on Flickr. Check out our blog for features on our previous Comicfest guests including Q&As and event roundups. Overdrive provides access to the library's Overdrive eBook and eAudio collection. Browse by genre, format, or see only items that are available right now. With thousands on titles on offer, you're sure to find something of interest. More and more comic content is being added to OverDrive, so check back for new titles! Comic publishers each offer a different style and flavour of comics. Below are a selection of comic publishers, and the sorts of comics they specialise in. NZ comic creator Dylan Horrocks has created a list on his website of NZ publishers, cartoonists, events, collectives etc. which is well worth checking out for NZ-based comic resources. Webcomics are comics originally published online. Some are published exclusively online, although sometimes they may also be published in magazines or newspapers, or collected into printed volumes. You may even know some webcomics because of their print versions. We've listed some highly recommended webcomics for you here. This page is written and maintained by library staff. Our aim is to keep you informed about comic resources at the library and to highlight parts of the collection which may interest you. We would be pleased to hear from you about this page - you can email us with any feedback.